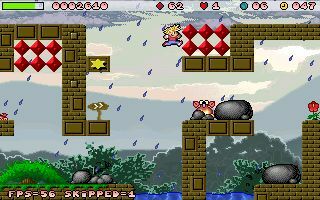 I think I saw the first level here , Looks very Easy :), why he have the fingers on the screen ?? is he big like King Kong HAHAHHAA !!! !maybe a small console hi hi hi hi !! An welchem Samstag? Heute? Ich hoffe es, denn ich kanns kaum noch erwarten! Are you still taking feedback on the gp2x wiz version. I’ve been playing all public betas and I think it is a great game and worthy sequel. I do have two comments regarding the latest public beta. The game still has those short but very annoying freezes sometimes in the middle of gameplay. Level 48 is impossible to complete. How can one by the 3 platforms with 3 bugs? 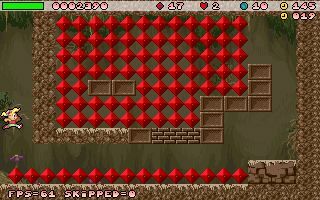 These are all one pixel jumps.